Italy had a shortage of armor, guns and of just about everything they needed to wage a modern war against a modern, well equipped, and well-disciplined opponent. As World War Two beckoned in Europe, the Italians, under the leadership of Benito Mussolini, were far behind in their modernisations with the majority of funding going to the Navy rather than the Army or Air Force. The result was that the Army, despite having requirements for tanks and support guns, was not getting what it needed, namely armor in quantity. One particular shortfall in planning was the lack of a gun of an adequate calibre to fire high explosive and smoke shells to support the infantry during their attacks. The small CV.3 series of tanks could provide machine gun fire support but even the tanks which were available in 1939 with a proper cannon, such as the Fiat 3000, were horribly out of date, slow, and poorly protected, and with just a 47mm gun which lacked the firepower needed to smash an enemy defensive structure. What was needed was a larger caliber gun. The M.6 (later L.6) was a private venture by Ansaldo and Fiat which built forth on the success of the CV.3 (L.3) light tank. A working prototype of the vehicle was ready by 1936 albeit with a small cannon instead of the later 20mm commonly associated with it. 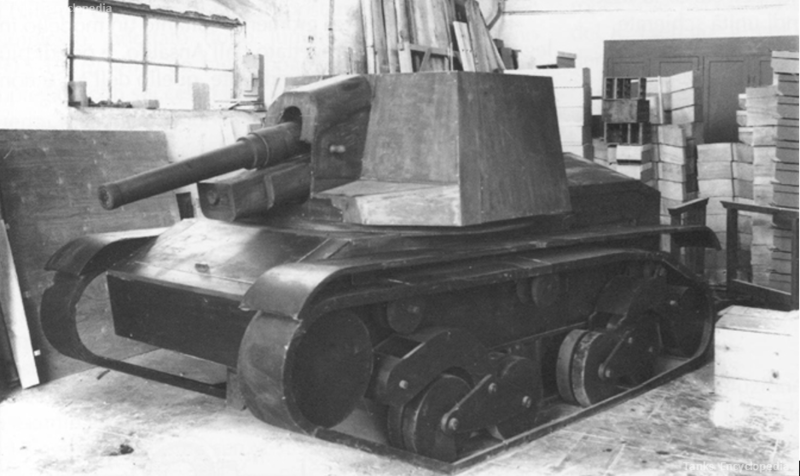 The CV.3 had been a successful design, small, rugged and adaptable, it was ideally suited to many of the needs of the military but it lacked a turret mounted gun to function effectively as a tank. The M.6 was a logical step up, with improved suspension and a 360-degree arc of fire, it was superior in every way to the CV.3 while still being transportable easily by truck due to its small size. The development of the M.6’s improved suspension allowed it to take more weight and be better off road than the CV.3 series of vehicles which made it an ideal platform for a larger gun. If you need to fire a high explosive shell with enough explosive to make a difference, then the 47mm gun in widespread use was simply not sufficient. The CV.3 mounting a 47mm gun, for this reason, was clearly not sufficient for the infantry support role and was abandoned. The next common gun, a step up, would be 65mm. Several years before-hand, the attempt to put a 65mm gun on a small vehicle – work done by the firm of Moto-Guzzi, had also failed. The 65mm gun had been used on the enormous Fiat 2000 but that was a generation earlier and redundant, and to add to the issue, the 65mm L/17 was already effectively obsolete. It had been relegated to infantry use in the 1920’s and replaced in the mountain gun role by a 70mm gun. It is important to note that the 47mm gun option was not abandoned for the M.6 (L.6) hull. 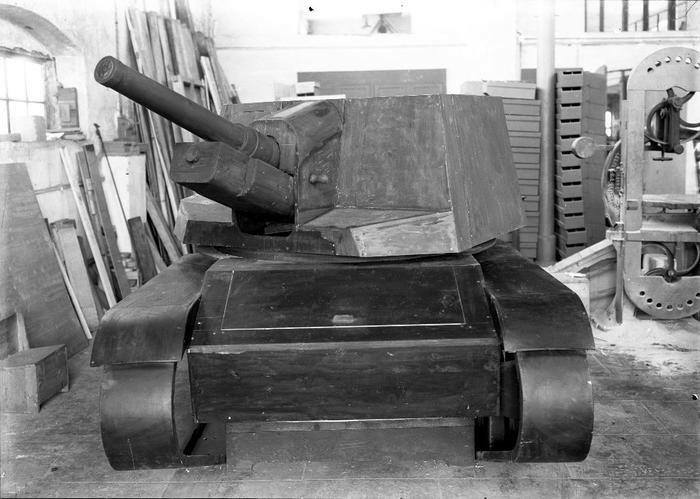 At the same time as this 75mm plan was developed, a scheme was produced with the 47mm L/32 cannon mounted on top of the casemate of an L.6 hull in place of the turret. Although that idea was abandoned, that design morphed into the Semovente L.6/40 with the 47mm gun mounted in the front of the vehicle instead. By 1935, the venerable 65mm had been replaced in the infantry support role by the 47mm so it was a poor choice for any future support gun, or ‘Semovente’ as it is known in Italy. The obvious choice, therefore, was a 75mm calibre. Italy already had a huge stockpile of 75mm field guns and on the 26th October 1939 General Pariani (Chief of the General Staff) listed a series of decisions on tank development programs. The M.6 featured heavily within those plans including a study to modify an M.6 hull to transform it into a carrier for a 75 mm gun. He noted that it must also have an anti-aircraft machine gun fitted. The choice of the M.6 for this project was logical if for no other reason than that there was nothing else available. At this time, the only medium-sized vehicle in production (just) was the M.11/39. Those hulls were urgently needed for the Medium tank program so none were going to be available for a Semovente. The commonplace CV.3 hull was in plentiful supply but was too small. The work on putting a 65mm on a machine that size had already shown that. The best option therefore was the new projected 6 or 7 tonne medium tank which was just entering production itself. This new vehicle was ideal, small and light enough to be easily transported on the back of trucks but large and rugged enough to deal with the weight of the gun, ammunition and the necessary crew to serve it. The decision by Pariani confirmed the 75mm gun as the choice for infantry support and the M.6 was the vehicle to carry it. He had other plans for the M.6 including as a platform for an anti-aircraft vehicle but concerned about air defence was requesting all new vehicles to come with some protection from the air. It was not until a letter from a delegation of industry to General Pariani on the 30th of October 1939 though that a final decision as to which 75mm gun was going to be used. The gun selected was a 75mm L.18 and, as an aside, it was also mentioned that the 20mm cannon selected for the ‘tank’ version of the M.6 was also suitable for use in an anti-aircraft role as well as an anti-tank role. Illustration on the Semovente M.6 by Yuvnashva Sharma, funded by our Patreon campaign. The M.6 was reclassified as a light tank L.6 in 1940 (as the new M.13/40 design was available for the medium tank role) and was a very mobile vehicle with the transmission at the front. A large hatch openable for the inspection and maintenance of the transmission and brakes was retained on the glacis as was the whole rear of the hull, allowing access to the engine and suspension components. The difference between the two came in the body of the vehicle at roughly track level. In place of the M.6’s squarish body and vertical driver’s plate with a small turret on top (for a 20mm cannon or 37mm gun) was a large open-topped, open-backed rotating turret with the large 75mm gun mounted prominently in the center, although it is not known exactly how far this turret could rotate. A large order for 583 examples of the L.6 was placed in March 1940 and this seems to have killed off the Semovente M.6 project. Ansaldo and Fiat had won a large order and production would focus on that vehicle for the time being. A new Semovente on the hull of the L.6 would appear shortly afterward but, for the time, the turreted M.6 idea was over. From approximately the same angle the modifications to the M.6 are apparent. Like the M.6 (L.6/40) from which it was made, the Semovente M.6 used two pairs of bogies on each side of the hull attached to torsion bars. The track was supported on the return run by two small rollers. Drive was from the front and the rear wheel was in contact with the ground. Power came from the same SPA model 18 68-70hp petrol engine as on the early L.6 light tank although the L.6 had not yet been formally standardized. This engine allowed the L.6 to reach 25km/h off road and up to 42 km/h on road. Semovente M.6 with 75mm gun turret turned to the left showing a single crew position (driver) through the front of the turret presumably where a large hatch would go in a production version. The previous Semovente version based on the CV.3 had two crew, and the L.6 light tank on which the Semovente M.6 was based also had two crew members. It is therefore highly likely that this vehicle continued the trend. 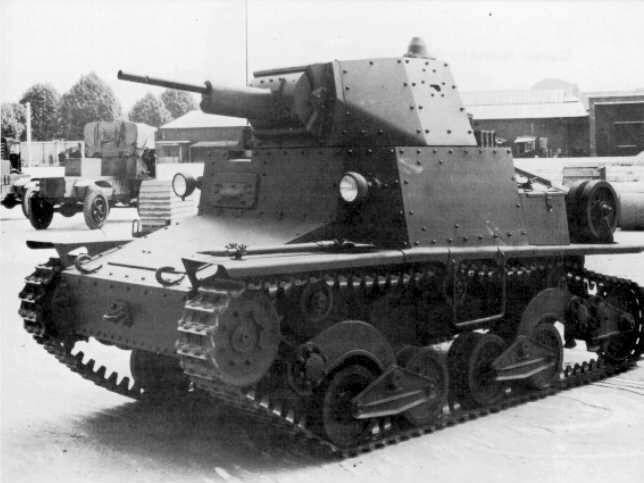 The Semovente da 47/32, also based on the L.6, which later was approved, operated the much smaller 47mm gun, had a crew of three and was very cramped. 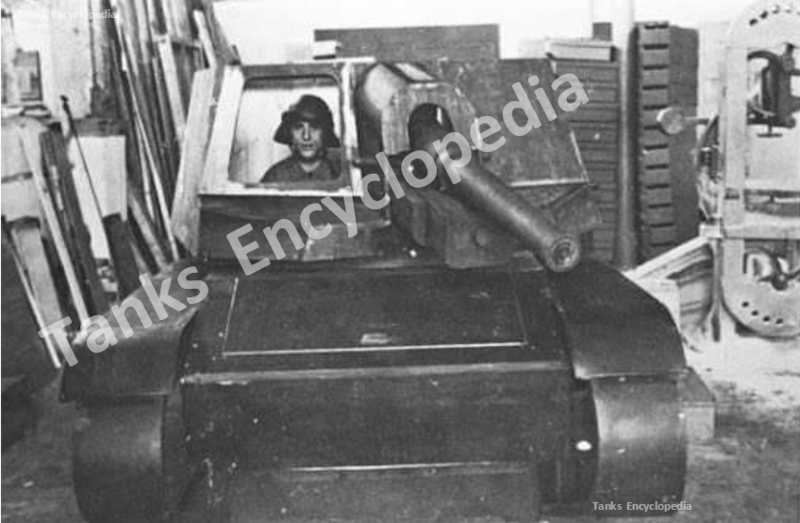 This adds to the evidence that there was very little room inside the Semovente M.6, especially considering the size of the 75mm shells it would have to carry. 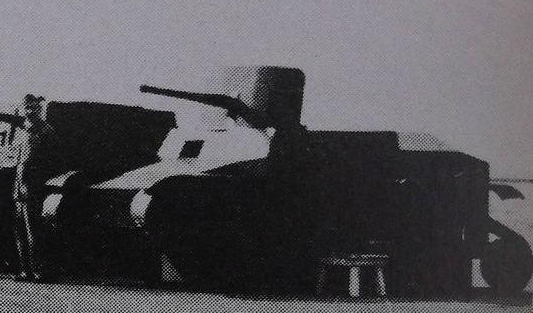 Semovente M.6 mockup showing the elevation of the 75mm gun in the turret. The only gun known to have been planned for this vehicle is of 75mm calibre. A caliber which Italy had in no short supply. The gun selected was the Anslado 75mm L.18 gun, as this was already in production at the time by the makers of the designers of the vehicle. The gun would see use in later Semovente too. The 75mm L.18 was a howitzer standardized in 1934 and was actually just under 21 calibers long (20.75) despite being an ‘L.18’ thanks to an older Italian convention regarding how to measure the length of a barrel. It could fire a 6.4 kilogram shell out to nearly 10 km. Although the elevation and depression figures for this gun are not known when fitted to the M.6 it did have a range of elevation from -10 to +45 when mounted normally as a field gun and the available photograph of it elevated would indicate 45 degrees was still probable. Various ammunition was available weighing between 4.5kg up to just over 8kg depending on ammunition type. Available ammunition for the 75mm gun at the time included several models of High Explosive shell, Armor Piercing (AP), Armour Piercing High Explosive, and the Effetto Pronto (EP) shaped charge round. The Semovente M.6 was a very good attempt by Italy pre-World War Two to field a large calibre gun onto a tracked chassis to support the infantry in the attack. It is not clear why this project was not adopted as the L.6/40 was produced in large numbers, but the most likely explanations are that by this time the Carro Medio hull was already coming into production for the M.11/39 and later the M.13 series. This chassis was bigger, stronger and more adaptable so would be a better choice for a large-caliber Semovente than the L.6. 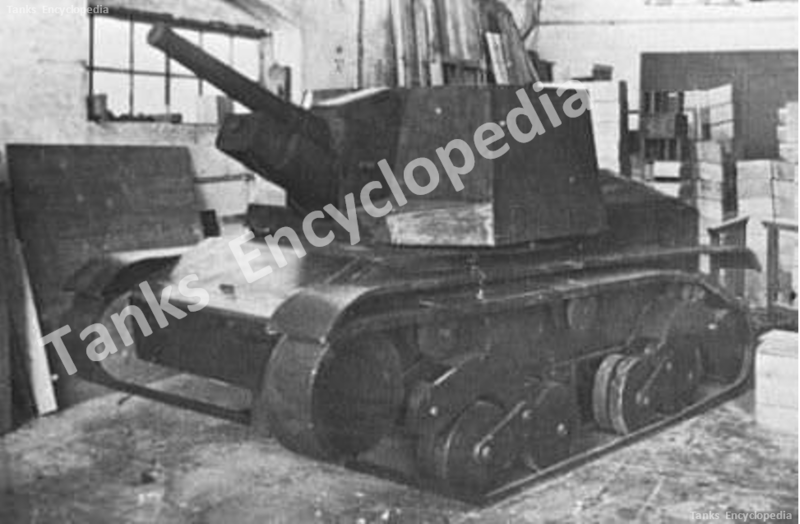 Within just a few months after the termination of this turretted M.6 project, a new Semovente mounting the 47mm gun using the same L.6 chassis began. You state: “Power came from the same SPA model 18 68-70hp petrol engine as on the early L.6 light tank although the L.6 had not yet been formally standardized. This engine allowed the L.6 to reach 25km/h off road and up to 70 km/h on road.” The 70 km/h seems to be an error; 30 km/h seems to be amore reasonable top speed?